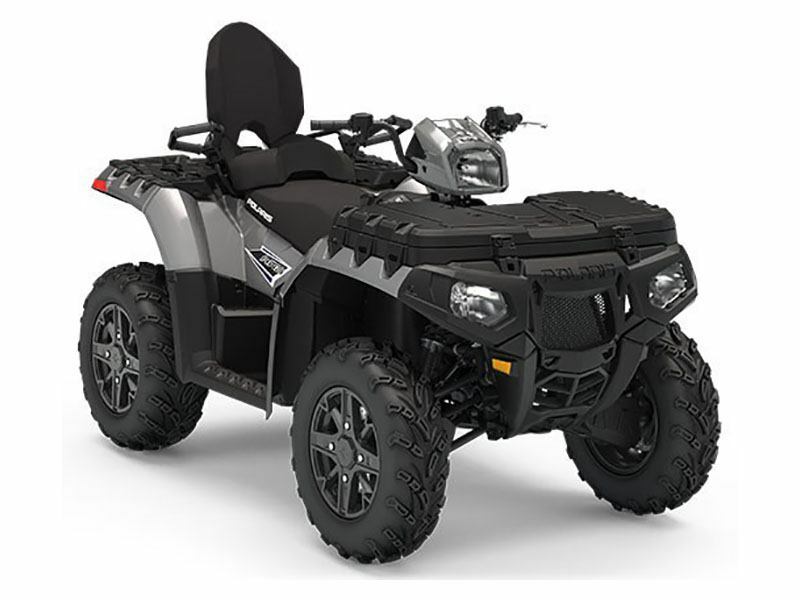 The Sportsman Touring 850 SP delivers hardest working, smoothest riding performance and comes fully loaded with the Premium SP Performance Package along with an integrated passenger seat system for 2-Up versatility. DURABLE. RELIABLE. 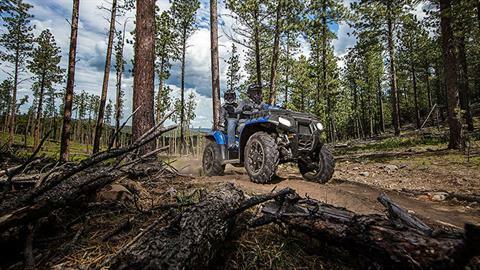 BUILT TO LAST: When you're working on your property or out on the trail, you can't afford down time. 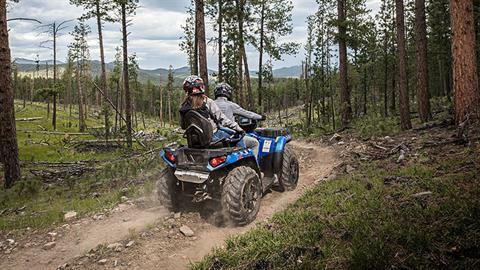 The Sportsman Touring 850 SP is durable, reliable, built to last. GET TOW WORK WITH MASSIVE PAYLOAD & TOWING: The Sportsman Touring 850 SP delivers massive payload and towing capacity to tackle the biggest jobs and get more done in fewer trips. 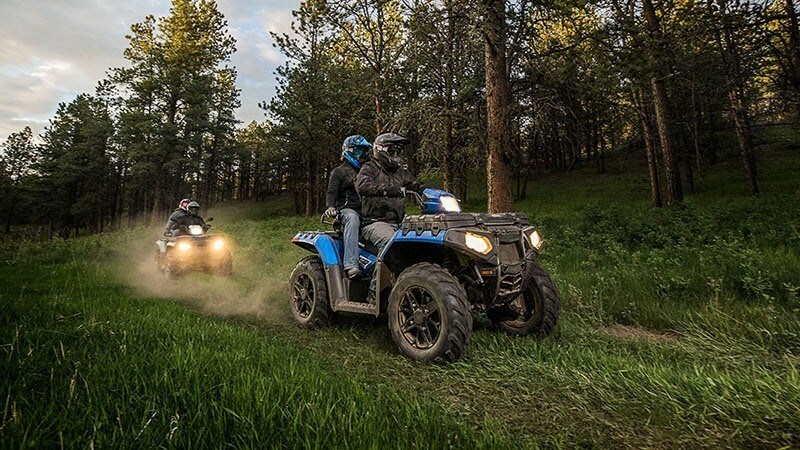 78 HP OF PURPOSE-BUILT POWER: The powerful engine and reliable performance you need to rip through the trails or get more done around your home and property, whether you go it alone or bring a friend along for the ride. 2-UP VERSATILITY. 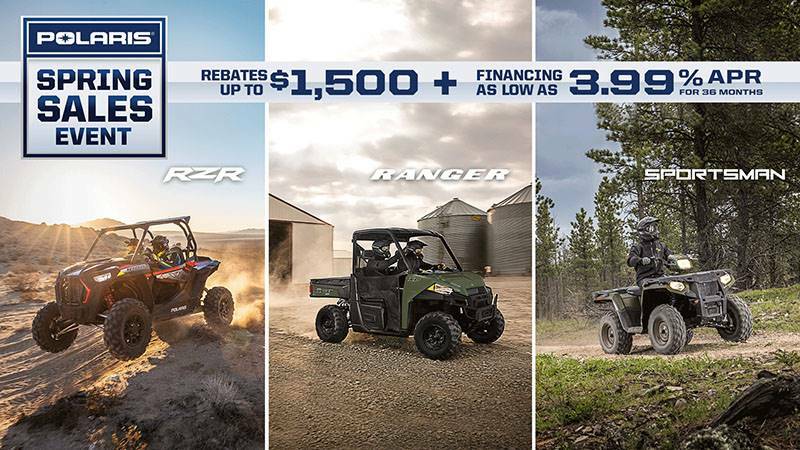 PREMIUM PERFORMANCE PACKAGE. : The Sportsman Touring 850 SP delivers hardest working, smoothest riding performance and comes fully loaded with the Premium SP Performance Package along with an integrated passenger seat system for 2-Up versatility. 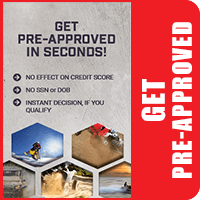 SP Performance Package Features: 1) High-Performance Close Ratio On-Demand All Wheel Drive. 2) Engine Braking (EBS) with Active Descent Control (ADC). 3) Standard Electronic Power Steering (EPS). 4) 26 in. Aggressive CST Tires with 14 in. Cast Aluminum Wheels. 5) Automotive Style Paint with Custom Graphics Package. THE INDUSTRY'S ONLY ROLLED INDEPENDENT REAR SUSPENSION: With legendary Sportsman suspension and handling, you and your passenger will be prepared to navigate the tightest corners and biggest obstacles with full comfort and control.